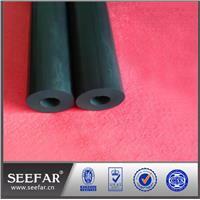 FKM Rubber Tube is known for its resistance to oils and chemicals, Its remarkable material retains its good mechanical and chemical resistance properties at extremely high temperatures . Send your drawing or requirement details, then we will customize for you. FKM rubber tube is known for its resistance to oils and chemicals, Its remarkable material retains its good mechanical and chemical resistance properties at extremely high temperatures better than any other known elastomer. 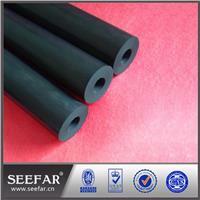 FKM rubber tube is also a standout material in its resistance to weather-related aging and ozone, good resistance to fluid, hydrocarbons such as benzene, carbon tetrachloride, toluene, and xylene. Engineers looking for exceptional resistance to petroleum-based fuels, oils, lubricants, and mineral acids at elevated temperatures will often turn to FKM, because most other thermoplastics cannot meet the necessary resistance levels. 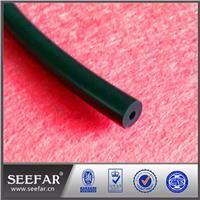 Our viton rubber tube are available In various sizes, sections, color as per requirement.